The Steamship Authority has canceled the 1:15 pm trip of the Island Home from Woods Hole to Vineyard Haven and her 2:30 pm departure to Woods Hole due to weather conditions this Monday afternoon. 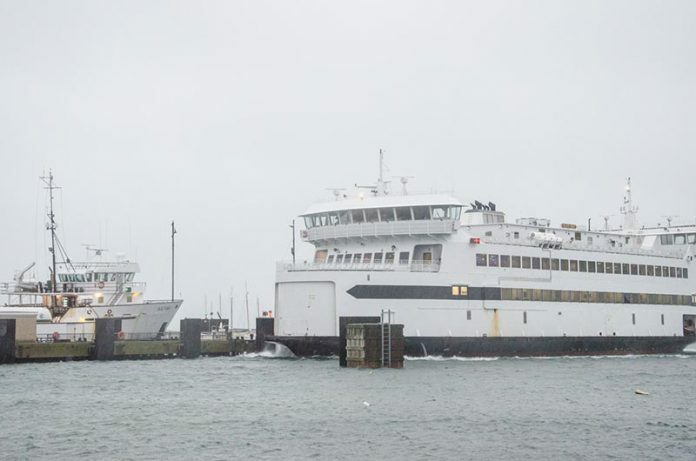 The SSA also cancelled the 1:15 pm sailing of the Nantucket from Vineyard Haven to Woods Hole and the 1:30 pm departure of the freight boat Katama from Woods Hole to Vineyard Haven. The 2:45 pm departure of the Katama from Vineyard Haven and the 2:30 pm departure of the Nantucket from Woods Hole are also cancelled. Previous articleEdgartown: What are you thankful for?